My nutrition is pretty simple when it comes to races and my everyday life – I eat normal food in a balanced diet. This is supplemented by CLIF who have a range of products which cover everything from Clif Bars, that I love to eat for breakfast before a race, to Clif Energy Bloks and Clif Shot Gels for during race energy to Builder’s Bars for post-race recovery. 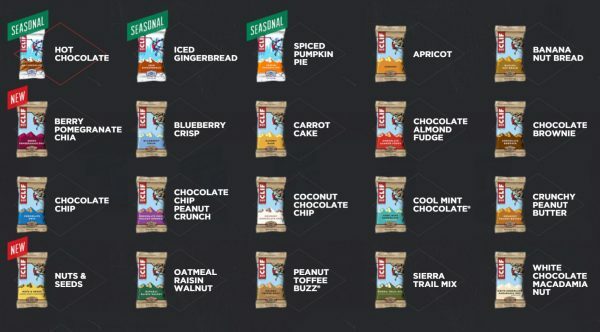 I’m going to cover each category in a separate post but I will begin with the classic Clif Bar – great for everyday snacking or during long activities to keep you from being hungry and to supply you with a steady release of energy needed to perform your best. Nutrition: First and foremost, Clif Bars are actually made from food. The majority of ingredients used within Clif bars are everyday foods you can buy of the shelf. In a world where we are eating more and more unnatural chemicals this is extremely refreshing and in my opinion, much better for your body. CLIF as a company even have a Food Philosophy where they admit their love of food and express their belief in using organic products and state how their food is free of hydrogenated oils and high fructose corn syrup. Energy: The energy Clif Bars give you is released steadily over a couple of hours. This means there is no crazy rush of energy followed by an inevitable low, just a steady stream of energy. This allows you to push your limits in a controlled manner, perfect for any endurance sport or simply to tide you over till dinner! I rely on this form of energy when racing as to experience a lull in energy is the difference between a podium position or not. I eat a Clif Bar as part of a balanced breakfast before every race to ensure I have the energy to get me through, hopefully in first. Taste: I have often likened eating a Clif Bar to eating a cookie, especially some flavours like my current favourite chocolate chip. Although in all honesty I go through phases of liking some flavours more than others, the range of flavours they have means I am never without a taste I love. The texture is also far more appealing than many other bars that are either chewy or foamy, Clif Bars are crumbly like a soft cookie, I have even gone as far as dipping them in hot chocolate or tea! 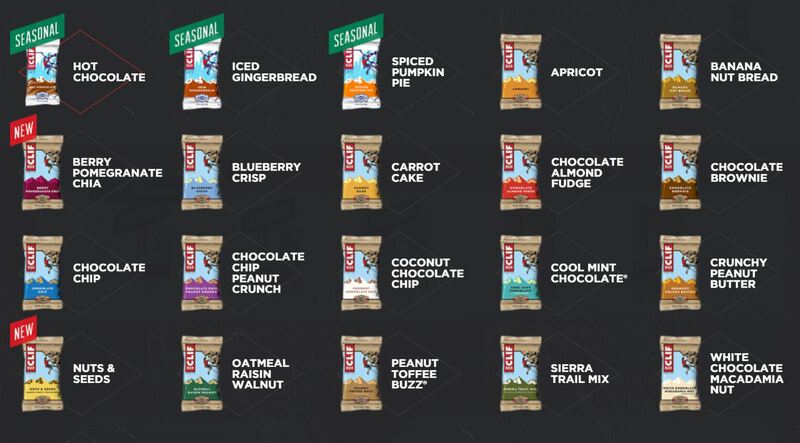 Variety: As mentioned Clif Bars come in a variety of flavours and the range keeps growing! This is important, especially if you are on a long training activity or race, there is nothing worse than getting sick of what you brought with you, so you stop eating. When I am out I actually look forward to each fuel stop and the raffle of which flavour I will pull out of my bag. Clif Bar have been fueling my training, racing and mountain adventures for many years now. They are continually creating new products and meticulously research the best organic ingredients for performance. Their range allows me to adapt my nutrition plan to suit anything from an 8km Toughest race right up to an ultra Skyrace with confidence. My old team, inov-8 OCR, and I have the same belief – getting the right nutrition is a minefield but in CLIF, we trust.